Partnership preserves the affordability of over 750 homes in Bloomington and Brooklyn Center. (MINNEAPOLIS – October 31, 2017) Today Aeon, the NOAH Impact Fund of Greater Minnesota Housing Fund (GMHF), and Enterprise Community Investment, Inc. completed the purchase of 768 apartment homes across 10 properties in Bloomington, Brooklyn Center, New Hope, and St. Paul. Other key partners in the project include Bellwether Enterprise Real Estate Capital, LLC, BMO Harris Bank, the Bloomington Housing and Redevelopment Authority and the St. Paul Housing and Redevelopment Authority. This acquisition will preserve all 768 homes as affordable for Minnesota families. Since 2000, the number of Minnesotans considered cost-burdened by housing—paying more than 30 percent of their income for housing—has increased 69 percent. Nationally, nearly one-third of all households are cost-burdened. This situation forces lower- and middle-income residents to choose between rent or groceries, medical bills and child care expenses. Affordable housing organizations have looked to preservation of NOAH properties to stem the tide of rising rents. NOAH—naturally occurring affordable housing—can play a crucial role in relieving cost burdens for families and individuals across the state. The $77 million total transaction marks the largest acquisition in the 31-year history of Aeon, a nonprofit developer, owner and manager of affordable homes in the Twin Cities. The purchase also represents the first project funded by GMHF’s recently formed NOAH Impact Fund, a $25 million equity fund established to preserve NOAH properties in Minnesota. The acquisition continues Enterprise’s ongoing commitment to preserve existing affordable housing connected to other key resources that create opportunity, such as health care, schools, jobs and transportation. The Twin Cities is in the middle of an apartment construction boom, but just 10 percent of new units will be available for low-income renters, according to the 2017 report “State of the State’s Housing Report, Twin Cities Region,” released by the Minnesota Housing Partnership (MHP). Existing affordable housing is also being purchased and renovated into higher-rent housing. In 2016, only 1,050 new units of affordable housing were created in the entirety of Minnesota, MHP’s data shows. Steven Scott Management, a Twin Cities-based property management firm, will manage the 10 properties. Aeon is a responsive nonprofit developer, owner and manager of high-quality affordable apartments and townhomes that serve 6,000 people in the Twin Cities area each year. For more than 30 years, Aeon has been committed to helping people create a home where they feel safe and connected to the community around them. Aeon believes that Home changes everything. For more information, visit aeon.org or follow Aeon on Twitter and Facebook. Greater Minnesota Housing Fund (GMHF) is Minnesota’s leading nonprofit affordable housing lender, having awarded financing of over $270 million in its 21-year history, leveraging more than $1.2 billion in additional capital investments for affordable housing. Founded in 1996, GMHF has financed over 13,700 units of housing. 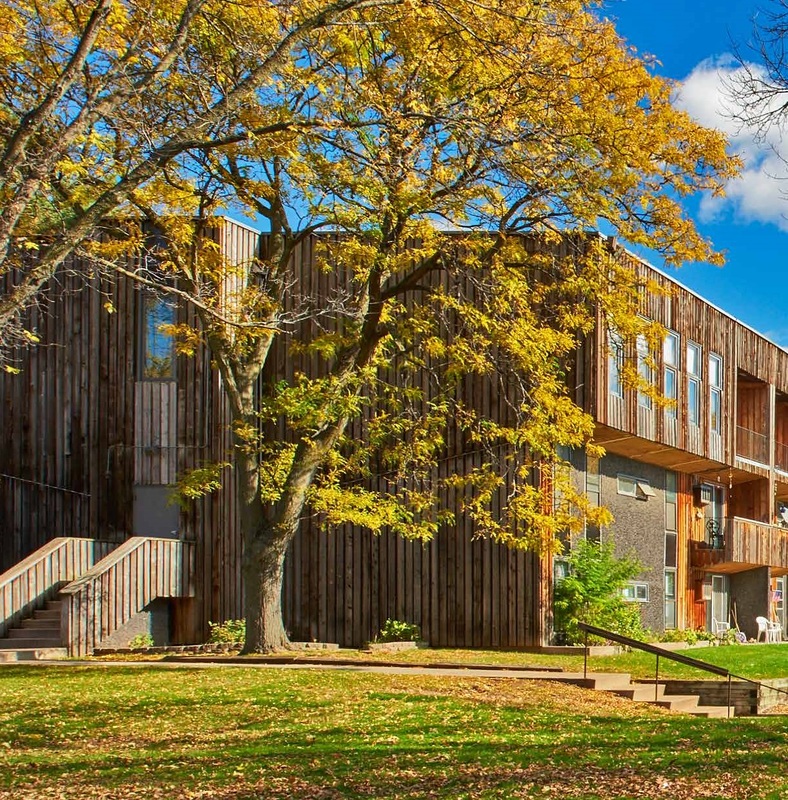 GMHF operates the newly established $25 million NOAH Impact Fund to preserve 1000 units of ‘naturally occurring affordable housing’ in the Twin Cities metro area in the next two years, along with its nonprofit subsidiary, the Minnesota Equity Fund. Enterprise is a proven and powerful nonprofit that improves communities and people’s lives by making well-designed homes affordable. We bring together the nationwide know-how, partners, policy leadership and investments to multiply the impact of local affordable housing development. Over 35 years, Enterprise has created nearly 470,000 homes, invested $28.9 billion and touched millions of lives. Join us at EnterpriseCommunity.org. Bellwether Enterprise is a national, full-service commercial and multifamily mortgage banking company. As a subsidiary of Enterprise Community Investment, Bellwether Enterprise has production offices across the country and an integrated servicing platform based in Cleveland. Bellwether Enterprise provides competitive, creative solutions to complex financing needs through a wide variety of lending resources, including life insurance companies, pension funds, commercial banks and CMBS lenders and is a Fannie Mae Delegated Underwriting and Servicing (DUS®) lender, Freddie Mac Multifamily Licensed Seller/ Servicer for Conventional and Targeted Affordable Housing Loans, Federal Housing Administration (FHA) approved Multifamily Accelerated Processing (MAP) lender and U.S. Department of Agriculture (USDA) Section 538 Rural Development lender. BMO Harris Bank provides a broad range of personal banking products and solutions through nearly 600 branches and fee-free access to over 40,000 ATMs across the United States. BMO Harris Bank’s commercial banking team provides a combination of sector expertise, local knowledge and mid-market focus throughout the U.S. For more information about BMO Harris Bank, go to the company fact sheet. Banking products and services are subject to bank and credit approval. BMO Harris Bank N.A. Member FDIC. BMO Harris Bank is part of BMO Financial Group, a highly diversified financial services provider with total assets of CDN$709 billion (as of July 31, 2017), and more than 45,000 employees.